As you cruise south on the Pacific Coast Highway, endless miles of beach to your right, blue skies above, the unremarkable entrance sign for The Ranch is easy to miss. 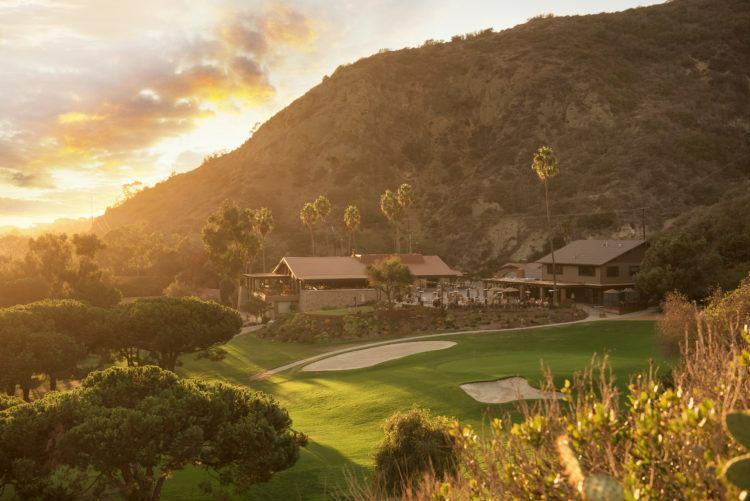 The Ritz at Dana Point is not far away, neither is the famed Pelican Hill. But The Ranch doesn’t shout its entrance, or trumpet its impressive credentials. 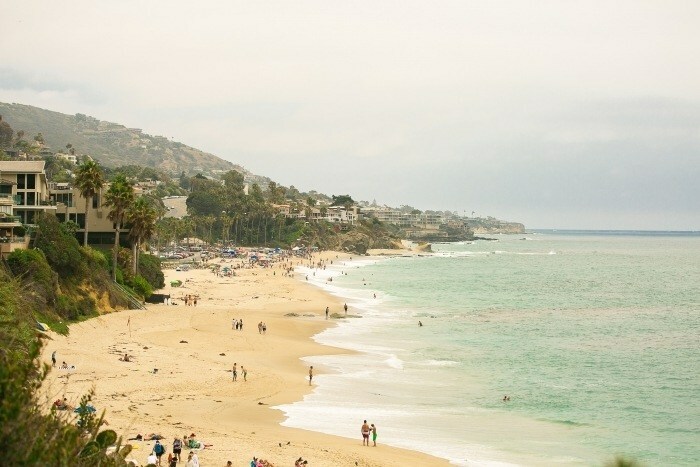 This understated seaside inn has been designated one of The Unique Lodges of the World by National Geographic and also happens to be home to Laguna Beach’s only golf course. The Ranch at Laguna Beach sits inside the soaring walls of two different canyons and has the look and feel of a mountain resort. There are even “wild animal” warnings in the golf shop (beware of the deer). The only clue that the ocean is just around the corner is the breezy saltiness of the air. The rolling Pacific Ocean is only 350 yards from the hotel’s property, but this is no beachfront resort. 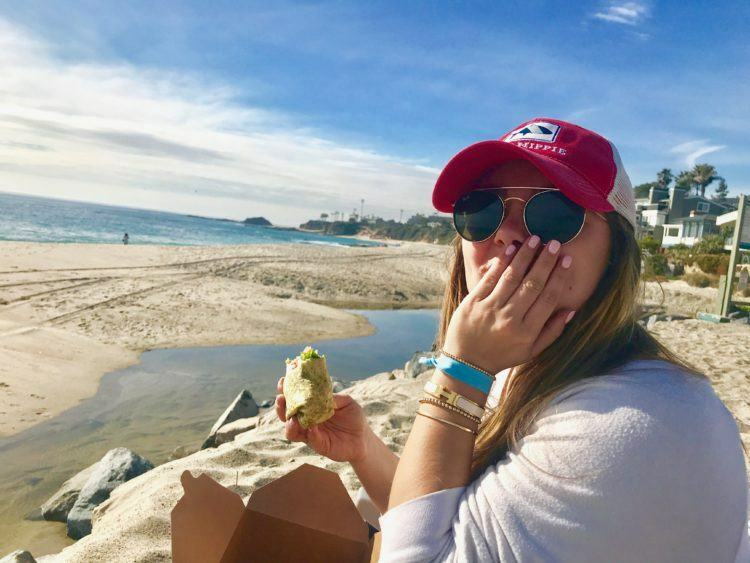 There aren’t many resorts that can back up the statement that there is “something for everyone”, but The Ranch at Laguna Beach can. For Macie’s college spring break she wanted to take a California road trip with me, I’m thinking it’s a serious upgrade from her spring break last year with drunk frat boys at South Padre. 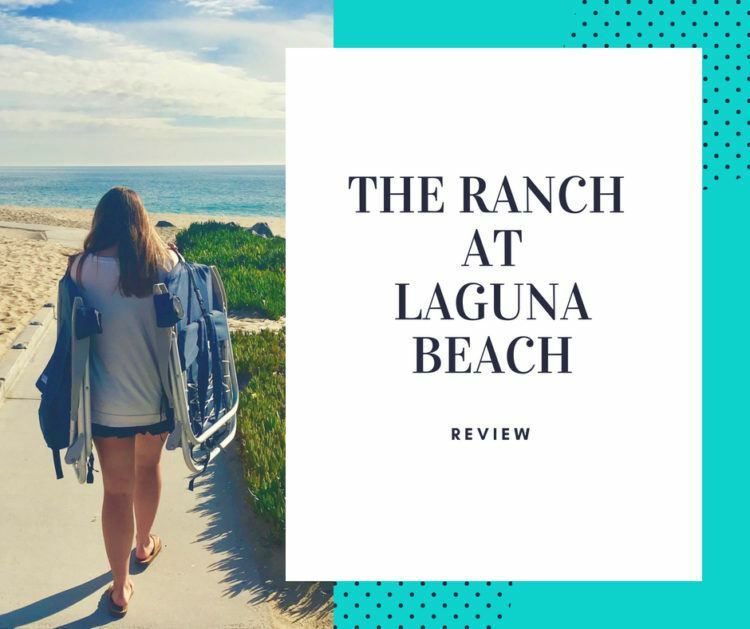 One of our stops was to review the Ranch at Laguna Beach. I had never heard of the hotel but as soon as I started posting on social media, I realized that all my readers not only knew of it, but loved it. There are dozens of beach options up and down the coast, but the beach just across the street from the hotel is all you need for an afternoon of relaxation. A staff member loaded up a golf cart with beach chairs and towels, we grabbed boxed lunches from Ben’s Pantry (the outdoor sandwich shop next to the golf course) and were whisked down the hill. The beach is on the other side of the Pacific Coast Highway. The walk underneath the highway is not dangerous, unless you have a pile of toddlers in tow. If you’re not working with man to man defense, I suggest driving to the beach. A quick call to the hotel and our beach valet retrieved us at sunset. I did not explore roadie cocktail options, I regret this decision. The hotel has almost 100 rooms but you would never know it as the resort covers 87 acres. 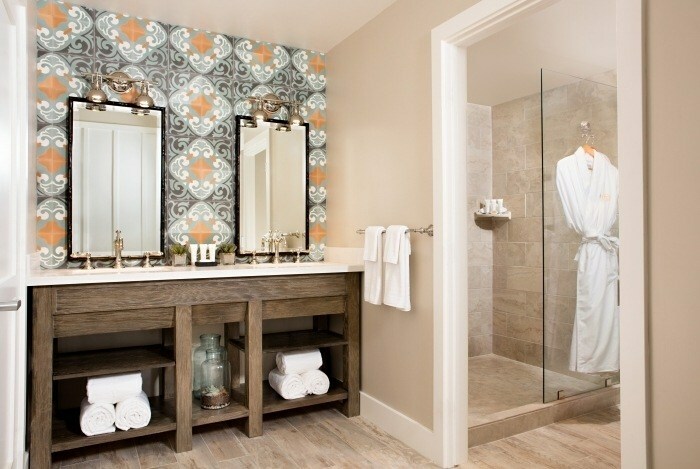 The rooms all feature luxury amenities (seriously plush robes) and views. They range from Canyon Rooms (410 square feet), Studio Suites (600 square feet), One Bedroom Cottages (715 square feet) Two Bedroom Cottages (1,125 square feet) and a stunning two story stand alone tree house large enough for the extended family. Every room has a private balcony or secluded patio space. Macie and I stayed in a Two Bedroom Suite and spent a long afternoon in our rocking chairs on the patio watching the golf course below. Our suite had a massive first floor with dining area and full living room. The sofa pulls out into a bed and the hotel offers cribs, pack and plays and roll away beds to accommodate families. 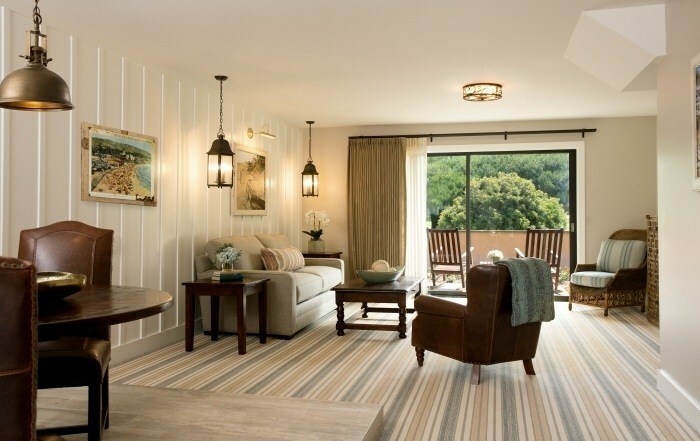 You can also ask for gates and outlet covers, which I have never before seen offered at a resort. Upstairs the bedrooms were large and the beds insanely comfortable. My walk in closet was so massive that it could easily be used to tuck a baby in for the night in a pack and play. Yes, I’ve done it, we all have. The heated saltwater pool and outdoor hot tub are open year round. The pool is three feet at the shallow end and eight feet at the deep end. In summer, the pool is flanked by chaise lounges and filled with kids. The adjacent Pond Bar serves cocktails and poolside snacks. Sadly it was not quite warm enough for swimming during our visit, but we didn’t feel like we missed out on the water since we spent a glorious afternoon at the beach. Golf in California is already more relaxed than east coast golf, add the beach and it seems almost fun. Ben Brown’s golf course at The Ranch is just 9 holes, and from what we could see out our window, not intimidating. My daughter plays golf and has grown up watching her dad, a scratch golfer, play. Her comment was “there’s some seriously bad golf going on out there.” Which is exactly why I want to go back and play. I have been chastised at our country club for my outfits (I don’t OWN long ugly shorts) and have given up on trying to play (having a lot of middle aged white dudes breathing down your neck to play faster never helps). The golf shop has everything you need from clubs to clothing. You can book lessons, or from the looks of things, go a little Happy Gilmore. Try the family lesson, it’s a 4-Hole Playing Lesson that starts with a 30-minute introductory warm-up at the practice tee, followed by a 4-hole playing lesson alongside your instructor. The total estimated time for this lesson is 1.5 hours. 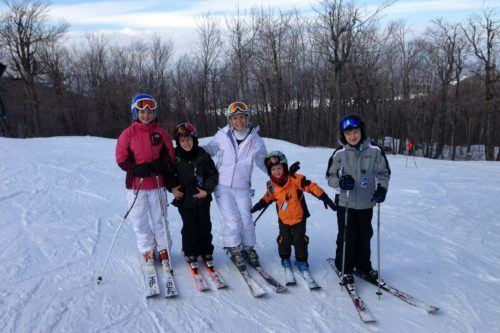 Adults (16+ men and women) – $125 per person Juniors (15 and under) – $110 per person. 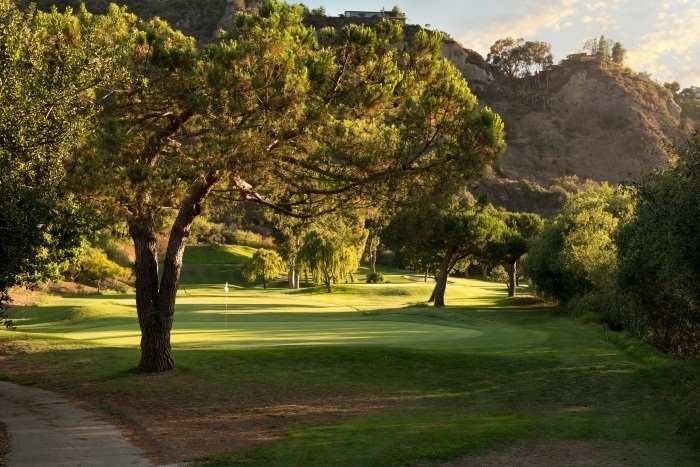 Or – just drink a cocktail on the outdoor patio, listen to live music and watch the golfers. 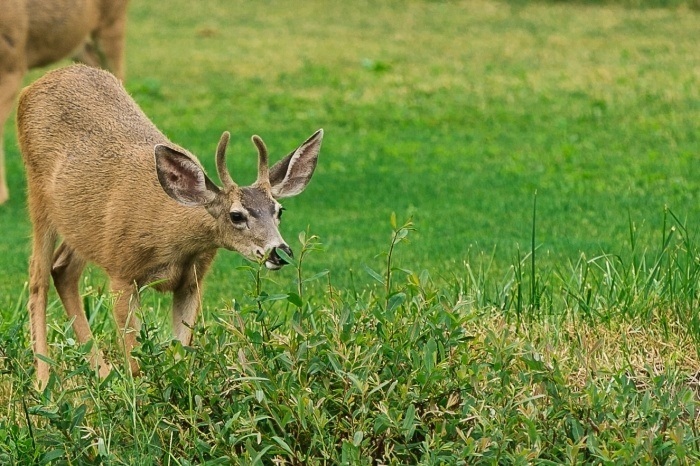 Kids can track wildlife in the Canyon, meet real raptors or learn to garden at The Ranch’s version of kid’s camp. 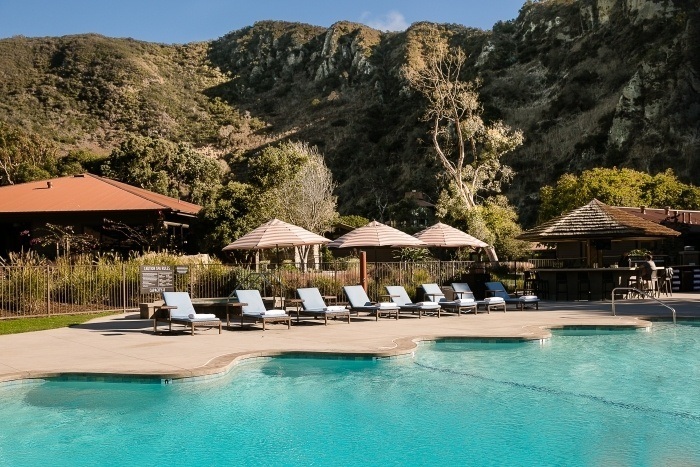 The Ranch at Laguna Beach, in partnership with National Geographic Unique Lodges of the World, offers unique nature themed camp experiences for hotel guests ages 6-12. The camps run 9:00 am to 1:00 pm Wednesdays through Sundays in summer. The cost is $40 per camper and limited to the first 10 guests to sign up. 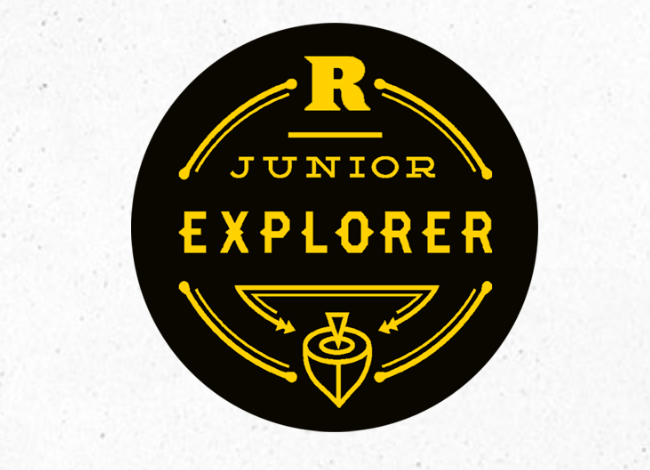 Boxed lunch, Junior Explorer backpack and other treats included. Since the boys weren’t with me, we weren’t able to personally review the Junior Explorer program, but I know that four hours without children is plenty of time to enjoy the spa. A full-body restorative treatment experience that will rejuvenate you after a long day in the sun. We start with a foot treatment that includes an exfoliation and rehydration. Next, an aloe vera elixir is applied all over the body to remedy skin damaged by sun exposure. Finally, to induce total relaxation, the face receives a soothing seaweed mask while hydrating coconut oil is massaged into the scalp. ($160 for 60 minutes). The heart of the resort is the restaurant Harvest. During our visit it was a “freezing” 60 degrees out. Macie and I enjoyed watching Californians huddle by the restaurant fireplace in Uggs and sweaters. 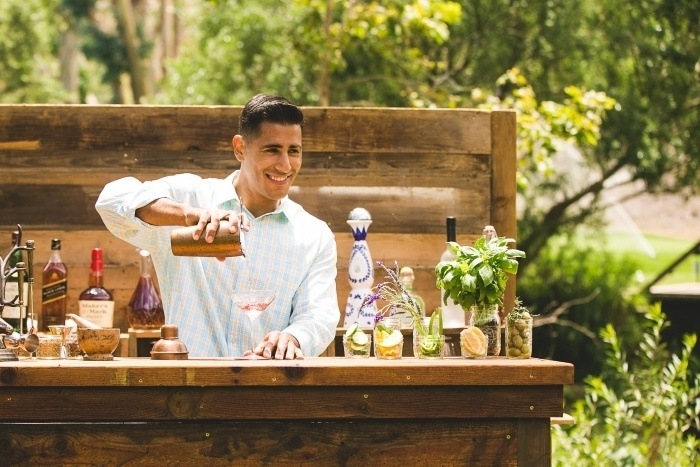 Come savor the exceptional flavors of one of the OC’s newest and buzziest culinary experiences, designed to expand your appreciation of terroir food, drink and hospitality. Harvest marries the bounty of the season with the atmosphere and creativity of Laguna Beach into a dizzying array of local flavors, ingredients and traditions of California cuisine. The food is locally sourced, tastes good, and the service is fabulous. Also, you can sit outside, and the bartenders are all good looking. Check The Ranch at Laguna Beach Website for current rates. A quick check for the Two Bedroom Cottage in summer of 2018 was around $879 per night. Looking for more fun places to stay on your own California road trip? Check out our stay at The Balboa Bay Resort and Club just 17 minutes north on the Pacific Coast Highway. Macie and I were the guests of The Ranch at Laguna Beach for review purposes, breakfast was included, all other expenses were paid for by mom.